Since most recent Windows and Mac OS X no longer support DVD media playback with its default media player, so more and more DVD fans are seeking the free and powerful DVD player software. In this post, we’ll talk about 2018 top 5 free DVD player software for Windows and Mac, you can download and enjoy DVD movies smoothly. 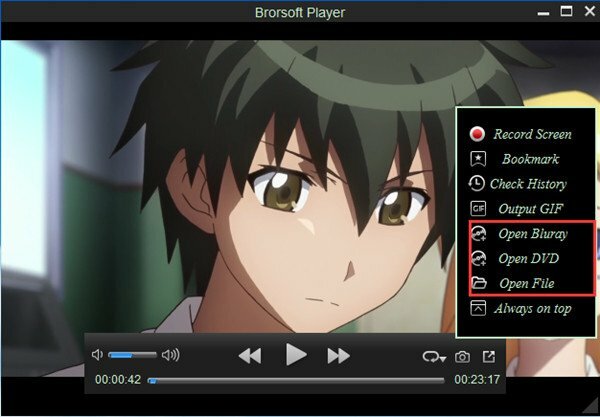 Brorsoft Player is one of the best DVD video player software with recording fuction for your Windows PC and Mac. It’s up-to-date to play 4K UHD and HEVC/H.265 content, Blu-ray/DVD, as well as 8K/4K/HD videos in MKV, MP4, MOV, AVI, WMV, etc formats on your Windows PC and Mac in sharper and vivid effect. VLC is a free and open source software that supports a wide range of formats including VOB, DVD-Video, VCD, SVCD, CD Audio and various other digital videos. 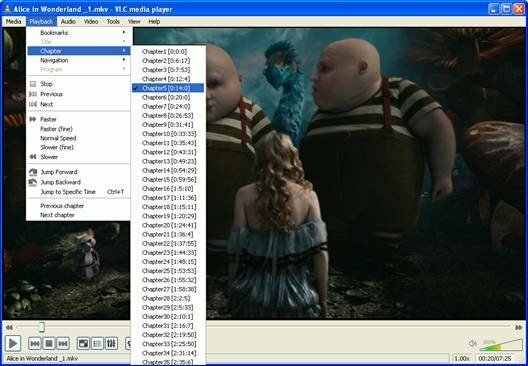 To play DVD with VLC on Windows PC/Mac, you can set it to automatically when a DVD is inserted by choosing the “Play DVD movie VideoLAN VLC media player” option. Pros: Great keyboard controls; great video and audio performance; can capture video on webcam. Cons: Default interface is not cool and savvy; skin options need improvement. 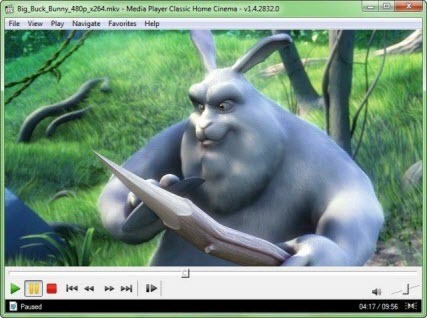 KMPlayer is a media player for many file formats support like VCD, DVD, RealMedia, FLV and QuickTime and many more. This professional player is able to support 3D, 2K, 4K & 8K UHD, so you can freely enjoy video or movies of 8K UHD directly on your computer. Cons: Remember to customize it when starting the installation. Otherwise, potential virus will get along with you. 5KPlayer is a powerful Media Player that comes packed with amazing features like AirPlay Service, Hardware Acceleration, YouTube downloading & more. The program supports playing DVDs from a physical disc or a DVD image file. You can also unlock region-specific DVDs and play them irrespective of their region. Pros: Excellent feature set; does not take a lot of resources; YouTube Downloader is a blessing. Cons: The player might be confusing for beginners. Platforms: Windows 10/8.1/8/7, Mac OS X Snow Leopard and above. Media Player Classic is a classic media player that was bound to be featured on our list of best media players. MPC-HC is a great Windows 10 Media Player alternative and it also features a DVD player software on Windows 10, subtitle download option, Skype integration, etc. Cons: MPC-HC supports only Windows operating systems. With above detailed comparison of 2018 best DVD player software above, we think you can make your own wise choice now.. Don’t just complain about the top five, let us know what your preferred alternative is- and make your case for it. If you don’t want install the DVD player software, another easy solution for you is to rip and digitize DVD collections to common digital videos for playing on Windows PC, Macbook, and portable devices. Here, Brorsoft DVD Ripper is highly recommended for you. Overall, it is a professional DVD ripper that is capable of ripping and converting DVD to an acceptable file format: MKV, WMV, MOV, FLV, AVI, MP4… that is supported by your default media player on your computer. It allows you to convert your DVD with a lot of ease thus making the experience fun. The most amazing thing with this tool is that you can convert your DVD with just a few clicks for watching your DVD movie without the restriction of DVD players. Thanks for such good review, nice post.